KatCanDo Frimley Appeal For Cancer Patients Charity is committed to protecting your privacy. This policy explains how we collect and use the personal information you provide to us. By using our website, any of our services, or providing us with any personal information we will assume you are agreeing to your information being used and disclosed in the ways described in this policy unless your indicate otherwise. KatCanDo Frimley Appeal For Cancer Patients Charity is registered as a charity in England and Wales (registered charity number 1106566). In carrying out our day to day activities we process and store personal information relating to our supporters and we are therefore required to adhere to the requirements of the Data Protection Act 2018 and the General Data Protection Regulation (GDPR) of the EU. Personal information is information that can be used to identify you. 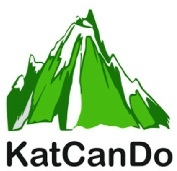 It can include your name, and email address (for our ‘Friends Of KatCanDo’) and in addition for 100 Club members only name, email address, postal address, telephone number, mobile telephone number, and bank account details. At fund raising events we may ask if you are a UK tax payer so that we can claim Gift Aid (please rest assured we do not collect information about your actual tax payments, just whether you are a tax payer). We collect personal information about you when, you make a donation to us, register for a sponsored event, or engage with our social media. We do not collect “sensitive personal information” about you. We do not store your credit or debit card details at all, following the completion of your transaction. All card details and validation codes are securely destroyed once the payment or donation has been processed. If we receive an e-mail containing any credit or debit card details, it will be immediately deleted, no payment will be taken and you will be notified about this. To comply with our obligations as a charity, we must take reasonable and appropriate steps to know who our donors are, particularly where significant sums are being donated. This means that we may conduct research, including accessing information which is already publicly available, on prospective donors, partners or volunteers to ensure it would be right for us to accept support whether that is from an individual or organisation. This will help to give assurance that the donation is not from an inappropriate source and to safeguard our reputation. This does not mean that we will question every donation, nor that we will research lots of personal and other details about every donor. Any information we do collect for this purpose will only consist of what is necessary for us to meet these requirements and will be processed in line with your rights..
Information for ‘Friends Of KatCanDo’ is stored through a third party, Mail Chimp, and not shared with any other organisation. KatCanDo does not store this information. Information for 100 Club Members is passed to member’s banks and copies of this information are stored securely for administrative processes only and not stored electronically. KatCanDo Frimley Appeal For Cancer Patients website uses “cookies” to monitor the usage of our website. We use Google Analytics for our web analytics. With cookies, the information we collect and share is anonymous and does not personally identify you. It does not contain your name, address, telephone number, or email address. This policy replaces all previous versions and is correct as of May 2018. We will regularly review and update this Privacy and Data Protection Policy and will update, modify, add or remove sections at our discretion. Any changes will be notified to you either via e-mail or through an announcement on our website and your continued use of our website, any of our services and/or the continued provision of personal information after we have posted the changes to these terms will be taken to mean you are in agreement with those changes.  raise a concern or complaint about the way in which your information is being used. If you have any questions or queries about this Privacy and Data Protection Statement, please contact our Data Protection Officer using the above address and contact details.